Family businesses have always played a critical role in the economy and the society, in countries across the world. In India, historically they have played an important role and also led the transformation of the economy since 1991 when economic liberalization was launched systematically. Evolution of standalone family firms as a powerhouse, beyond the family business groups, has added further relevance to this ownership group. The overall trend is similar across other emerging nations and is likely to continue. While this is so, academic institutions lagged in identifying and recognizing the contribution of family-controlled businesses. Moreover, there was hardly any effort made to study the challenges, such as governance and professionalization, they faced and solutions thereof. Many paid heavy price on both, family and business fronts. A need was felt to have a high quality academic institution to fill this void. Taking the institutional responsibility of being relevant to the needs of emerging economies, ISB pioneered a journey to strengthen family businesses in multiple ways, all on the lines with the School’s Mission to be socially relevant. Since the first training programme on ‘Perpetuating family businesses’ held in 2003, the School has emerged as the multifaceted pioneer in this space, by undertaking variety of activities. The setting up of the Thomas Schmidheiny Chair of Family Business in 2006 marked a major milestone as it not only recognized the relevance and high quality of the activities undertaken, but also the resources and capabilities extended to expand the horizon. Thanks to a generous contribution made by Dr. Schmidheiny, the Chair was upgraded into a full-fledged Centre under the name Thomas Schmidheiny Centre for Family Enterprise in 2015. Family businesses face certain unique challenges related to governance, custodianship, leadership, and succession. Moreover, they are highly influenced by the culture and environment in which they originate. These problems are even more acute in a multi-cultural and diverse country like India. Understanding the features of the macro environment and the behaviour of the business under various circumstances is critical to develop approaches to address the challenges. In order to grow and prosper across generations, it is important for the family business to transform and adopt cutting edge management practices appropriate to their unique context. This is the only way they can continue to thrive over several generations, creating wealth and fairly, not just for the business but for society at large. The unique challenge of managing family businesses emerges from the multiple and often conflicting roles played by family members. The priorities and privileges of those involved and not involved in management and governance may not be the same. As families and businesses grow in size over a period of time, the nature and intensity of relationships of the family stakeholders also vary. Since this is a silent and gradual process, families often do not notice the change and fail to transform themselves proactively. The inter-linkages of family, ownership, and management dynamically influencing each other through their life cycles, have been the basis of designing the Centre’s activities. Within a short period of time, the Centre has emerged as a central resource for family business wisdom. Taking the institutional responsibility of being relevant to the needs of emerging economies, ISB pioneered a journey to strengthen family businesses in multiple ways, all on the lines with the School’s mission to be socially relevant. The Centre is envisioned to create value for society and business families, by accentuating their stewardship capabilities. The Centre’s strategy is revolved around developing a portfolio of activities covering research, training and practice, through a variety of platforms. From the very beginning, the Centre had ensured that it worked on these fronts simultaneously, and built capabilities appropriately. As shown in the exhibit1, the Centre has identified various areas where it should make contributions. While activities have been undertaken on all those fronts, much more needs to be done in future as the opportunities are many. Family businesses will continue to play a crucial role in the society which is constantly undergoing changes. The simultaneous impact of rapid economic development and structural changes in the traditions and practices in the society have made family businesses face a variety of new challenges, as shown in the exhibit 2. Many of the changes have had a deep impact on the family businesses. Education, opportunities, and globalization has made succession planning more difficult than earlier; reducing the size of the families, changes in the Succession Act and better education have paved way for women in leadership roles; the families are more aware of the need for institutionalizing the business so that it sustains beyond many generations. The Centre is constantly adapting to the needs of the economy and society and recrafting its strategy. It is dynamically building its resources and capabilities to remain relevant and continue to be the leader. 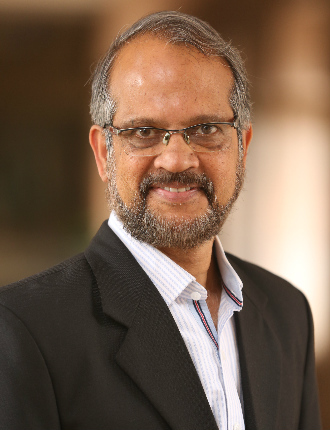 Professor Kavil Ramachandran is Executive Director, Thomas Schmidheiny Centre for Family Enterprise, Indian School of Business.